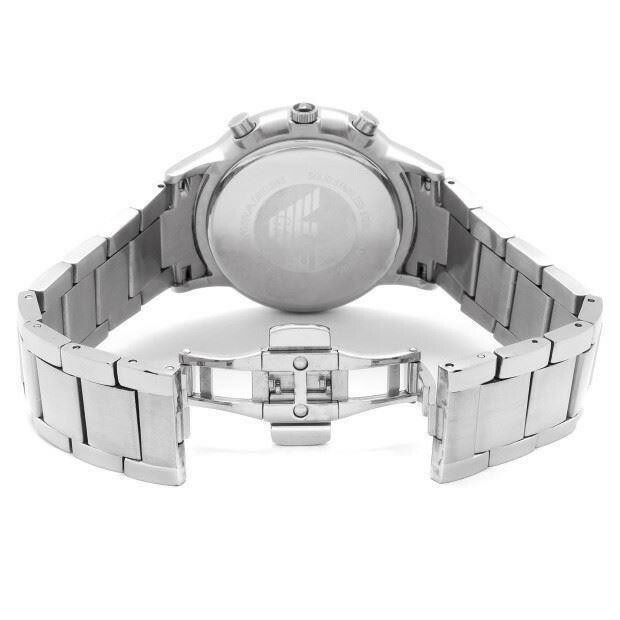 This classic Armani mens watch has an effortlessly chic look. The stainless steel case features a clean black dial with chronograph and date. The bracelet has textured middle links. 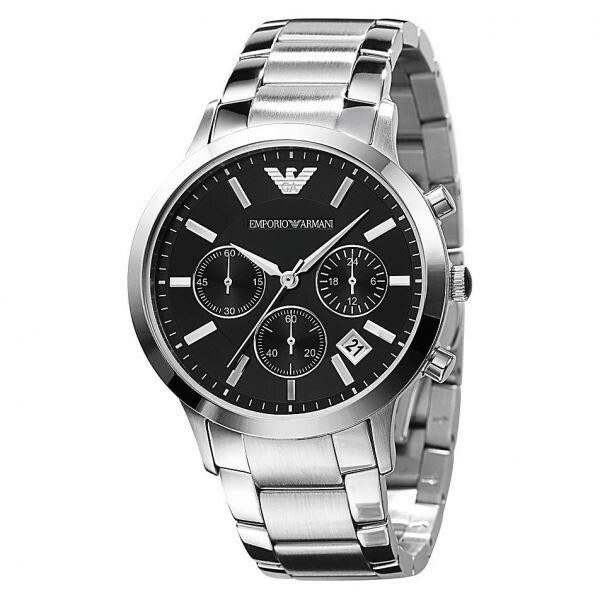 This classic Armani mens watch has an effortlessly chic look. 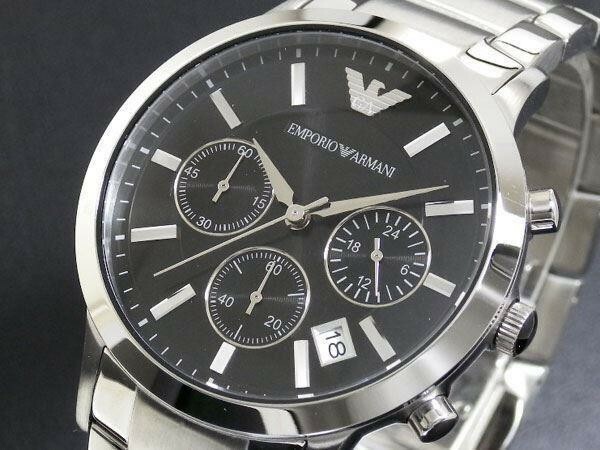 The stainless steel case features a clean black dial with chronograph and date. The bracelet has textured middle links.